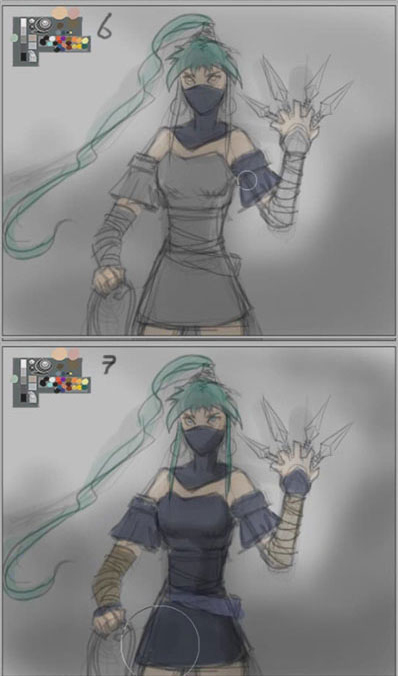 How to draw Manga ninja girl. 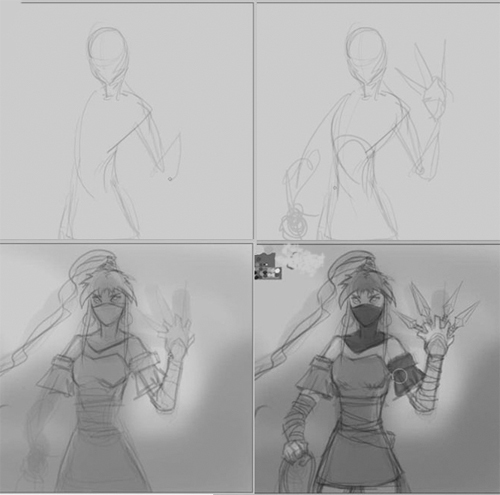 The process shows from basic sketching to finish drawing quick concept for comics cartoon illustration, manga, anime. The video demonstrates and narrates how to quickly create an efficient concept design from concept idea into visual. How to put rough idea onto the paper sketch and create fantasy or sci-fi character concept art online lesson for comics cartoon illustration, manga, and anime. 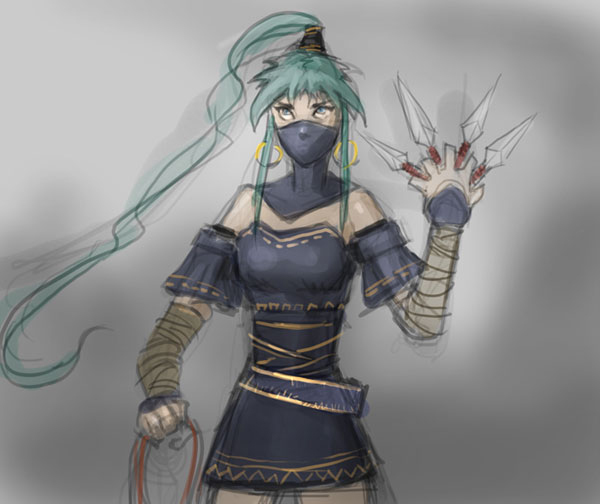 Here is a final drawing of a ninja girl. Watch a drawing video tutorial how to draw Manga ninja girl. Draw and Sketch Manga ninja woman girl female character design for comics, manga, anime, and illustration sketch. Learn from Step by step and video tutorial. Step 1, I sketch a rough of her head and her body with one arm on the side. Step 2, I keep add more construction sketch one of her arm is down and the other carrying rough sketch of throwing knives. Step 3, I start to flesh out the sketch and make it into a more refine drawing base on the sketch. I put in eyes, mask and her out fit. Step 4, I add some dark gray shading to make part of her mask and outfit stand out more. Step 5 and 6, I bring it in to apply color in Photoshop.